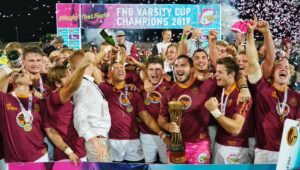 Maties coach Hawies Fourie says they are focused on winning the Varsity Cup title again, rather than defending it, ahead of their opener against Wits in Stellenbosch next Monday. DYLAN JACK reports. The defending champions have adopted a change in mentality in an attempt to alleviate the pressure of their title defence this season. 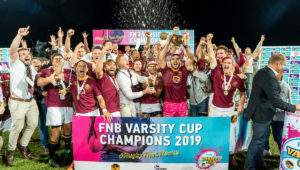 Maties have enjoyed a successful off-season, which began last year in October with wins in their warm-up games against Cape rivals UWC and UCT. 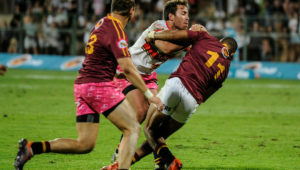 Having lost plenty of experience – especially in their forward pack, with the departures of former captain Chippy Oelofse, flank Marno Redelinghuys, prop Neethling Fouché, as well as Chris Smith and Michal Haznar in the backs – Maties have mostly relied on their title-winning Young Guns to step up and fill the gaps in the squad. ‘There are some quality and experienced forwards that we have lost. We have five players who played for the Young Guns and SA U20 last year. They have filled a lot of those gaps with us losing guys like Chippy and Wilmar [Arnoldi]. 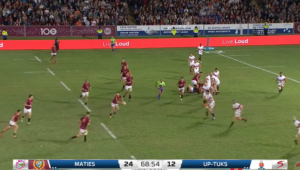 Maties will open their campaign by hosting a very competitive Wits outfit. 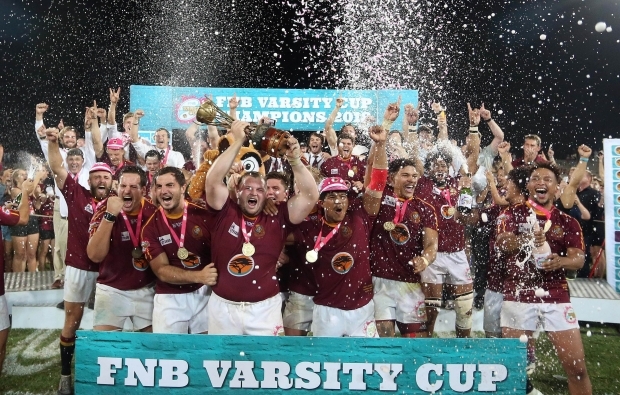 ‘Wits are one of the favourites, along with Pukke and UCT,’ said Fourie. ‘It will definitely be a tough game against them. We played really well in the semi-final last year, but they got that draw against us in the league game. That just shows you their quality. They have also won both their warm-up matches. I watched their game against UJ and they were just in a different class.